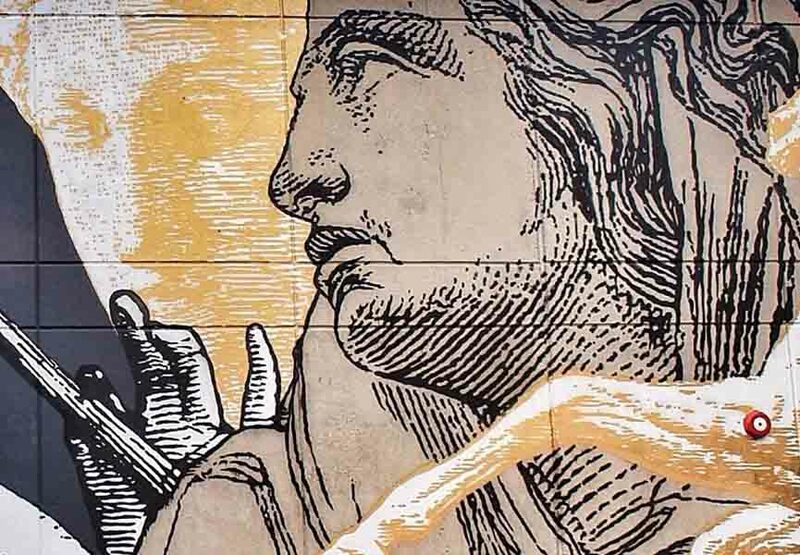 From France and Venezuela to Brazil and USA, our favorite street artists have been really busy in the last seven days. They’ve adorned walls of capitals, small cities and festivals across the world and gave to the viewers some amazing visual experiences. 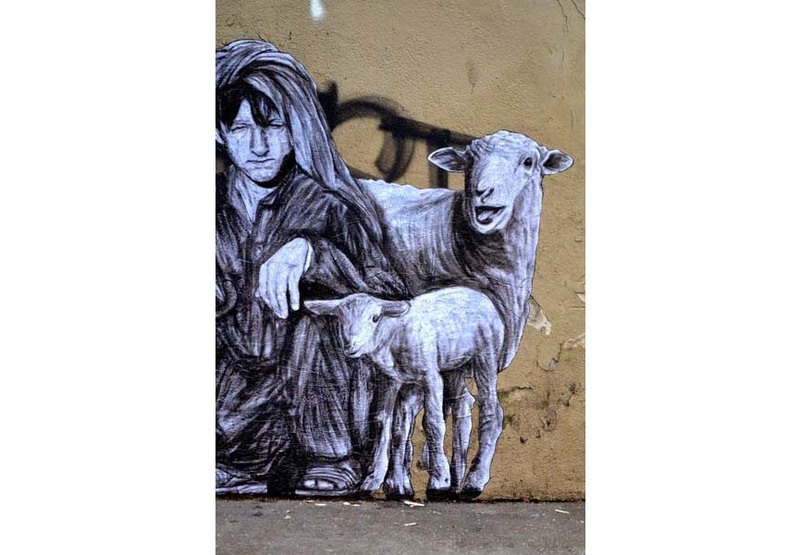 Starting with Levalet in Paris, the French born street artist recently just finished a brand new piece entitled The Shepard painted in his signature black and white style. His Venezuelan colleague, artist Koz Dos painted a fantastic portrait of a man, using many different colors and showing us all his talent at once. 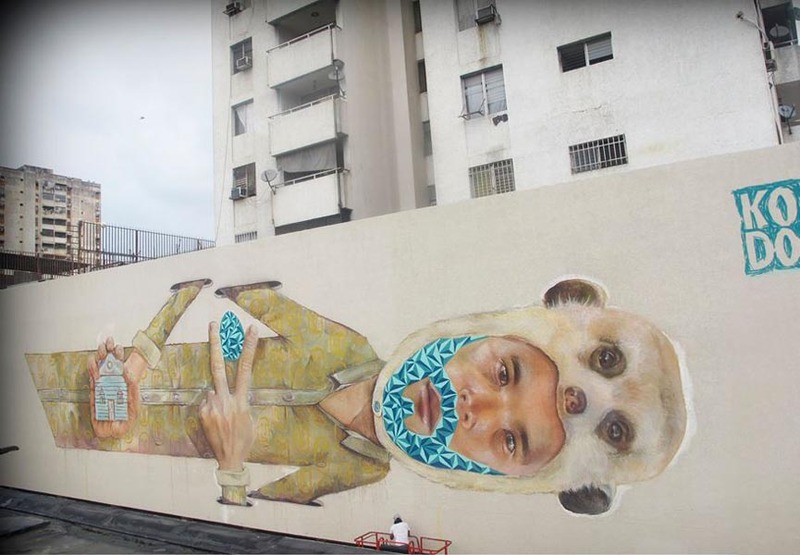 Just like his fellow artist Koz Dos, the artistic duo Os Gemeos did a piece in their home country, Brazil, featuring one of their signature characters, while the artist Christina Angelina and Cyrcle. 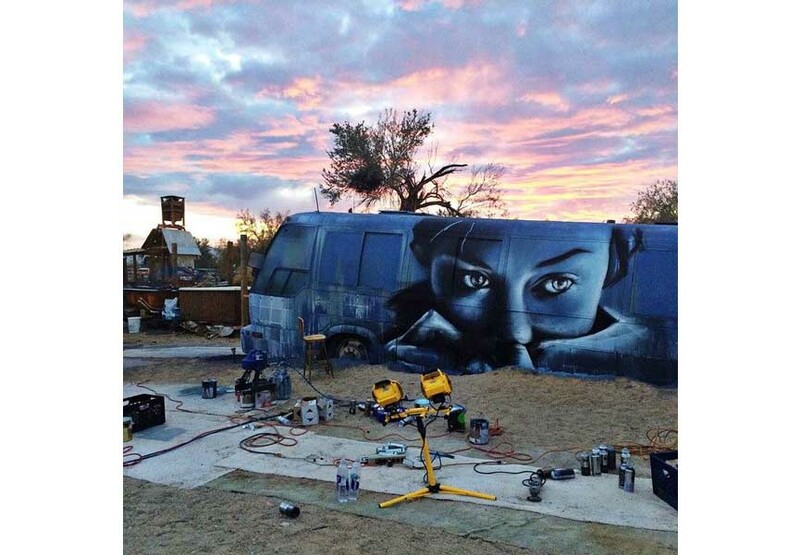 traveled to USA for two different events – Angelina is finishing the piece in Slab City, Salton Sea, and Cyrcle. participated at the fantastic Lebasse Project. Check out our gallery and chose your personal favorite among all of these stunning works. 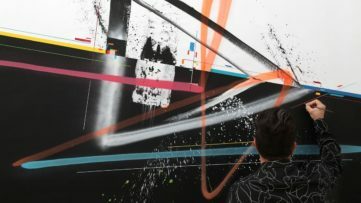 Enjoy!If you want to know all about the upcoming projects of your favorite street artists, sign up for My Widewalls today and for FREE! 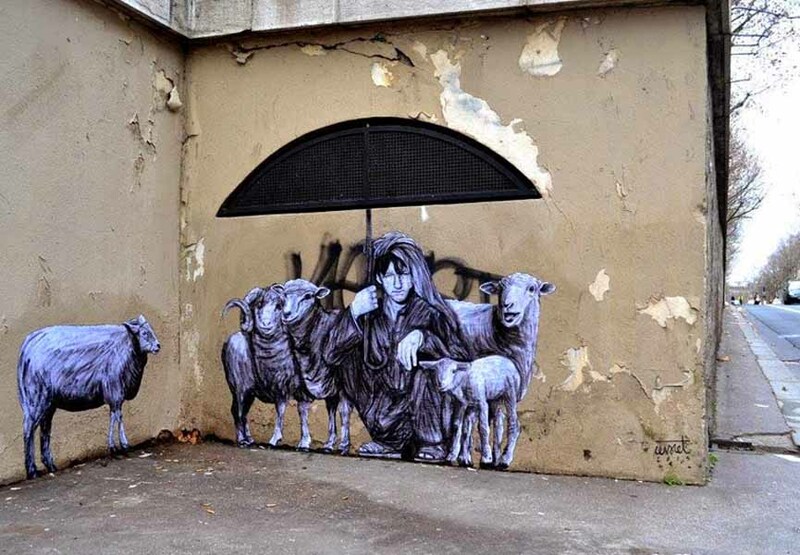 French street artist Levalet recently just finished his latest piece on the streets of Paris. 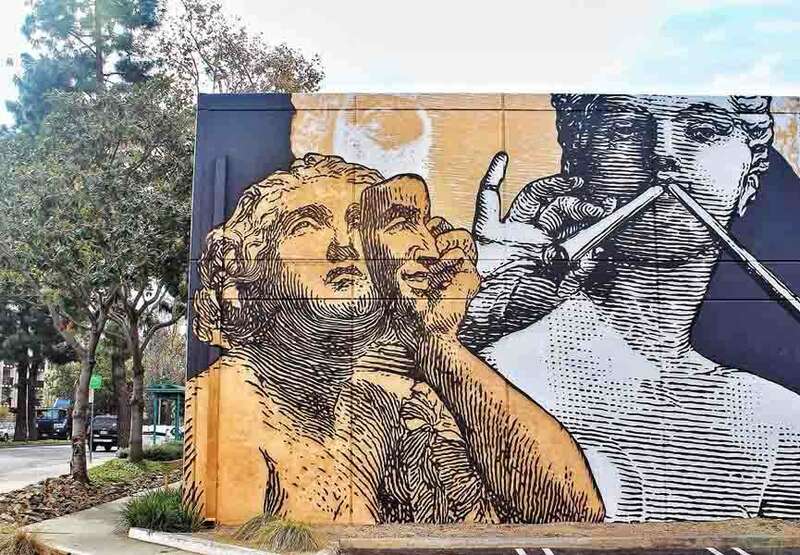 For Levalet, urban art is part of the identity of the city, and the technicality of defining private property gives the idea of public space a new dimension. 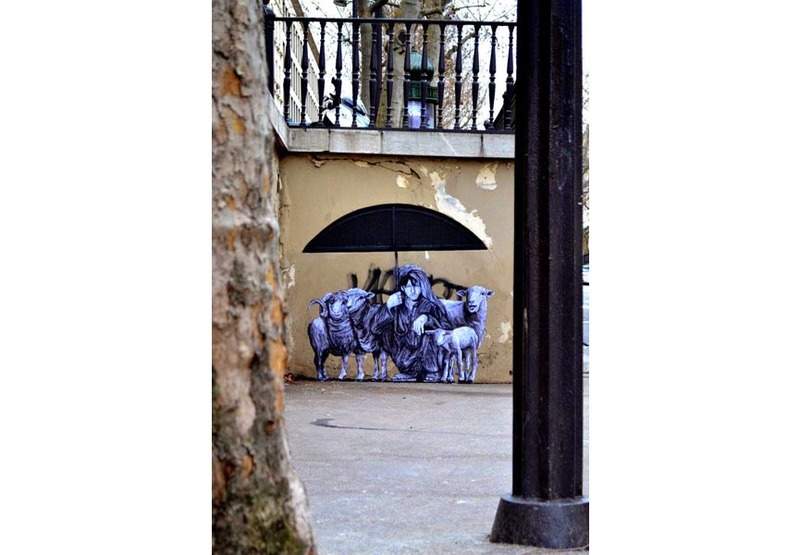 After the participation at Vis-à-vis show in December, Levalet’s subject of painting in Paris was an oversized paster made using china ink and showing a shepard and his herd under an umbrella. 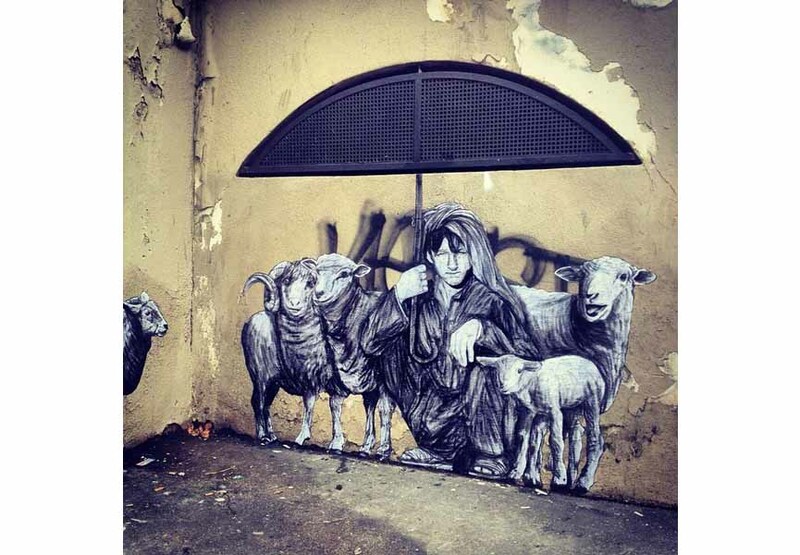 The piece entitled The Shepard was made in the artist’s signature black and white style and it is a great representation of what his art approach is really about – fantastic technique, carefully chosen location and realistic street art figures. 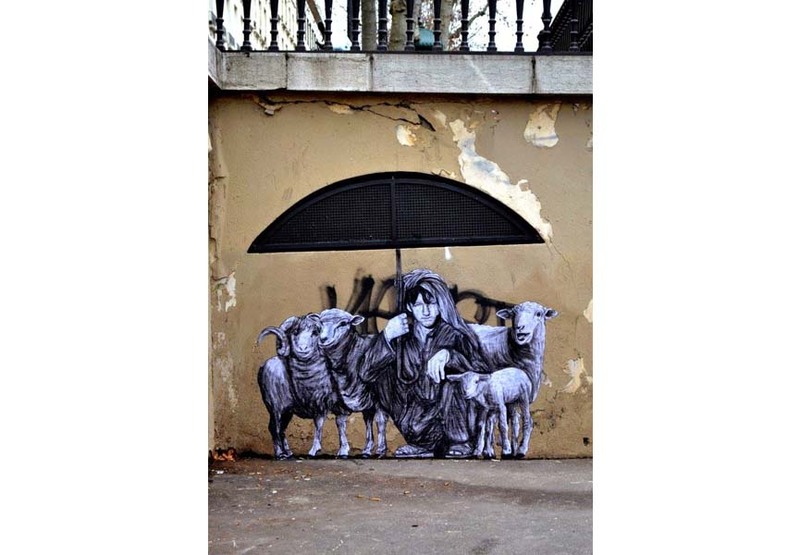 We’re always looking forward to see what Levalet has prepared for us in the future! Koz Dos is a true street artist. 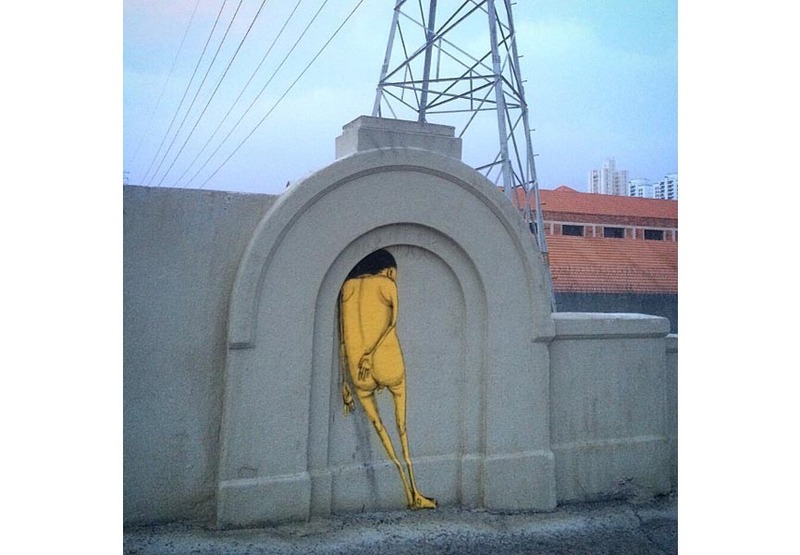 He’s managed to preserve his identity a secret and therefore we don’t know much about him, except that he is a very talented and innovative street artist from Caracas, Venezuela. 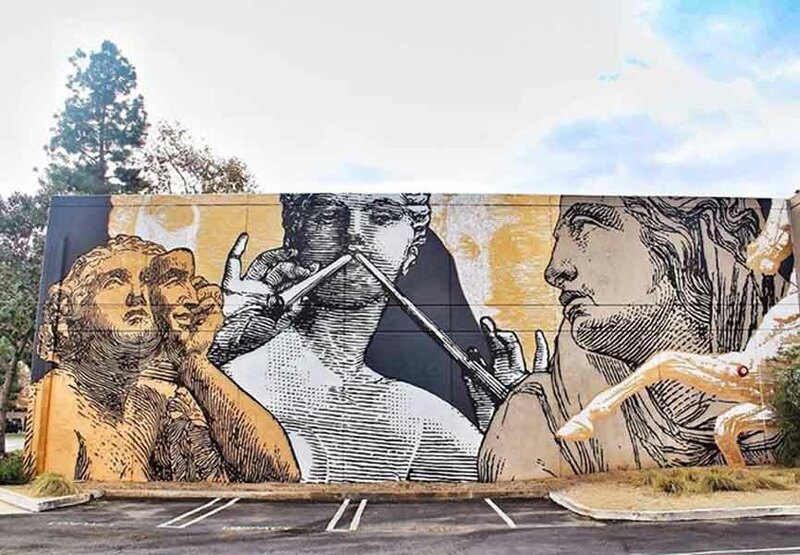 Even though this is the case, this doesn’t stop him from creating some of the most interesting and popular murals we’ve had. 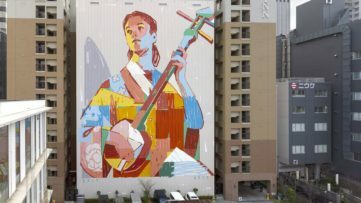 Famous for his photorealistic and colorful portraits of people and frames, often using geometric patterns, KOZ DOS once again surprised us with his latest mural he recently painted in his home country. 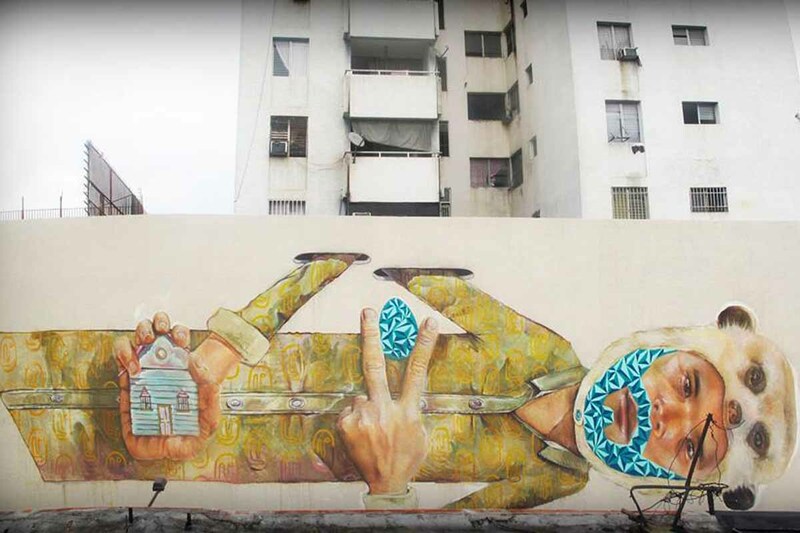 Adorning a wall somewhere on the streets of Maracay, KOZ DOS made this beautiful horizontal portrait of a man, holding a house in his right hand while showing a piece sign on his left hand. 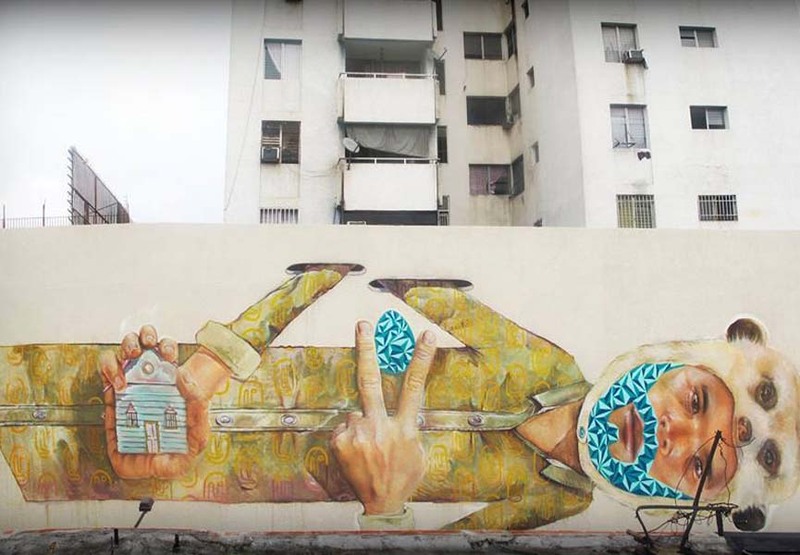 Made with fantastic accuracy thanks to his great eye for detail, the Venezuelan artist is one of the most interesting painters on the street art scene right now. Christina Angelina is a Venice based artist, street artist, photographer, producer and gallerist. 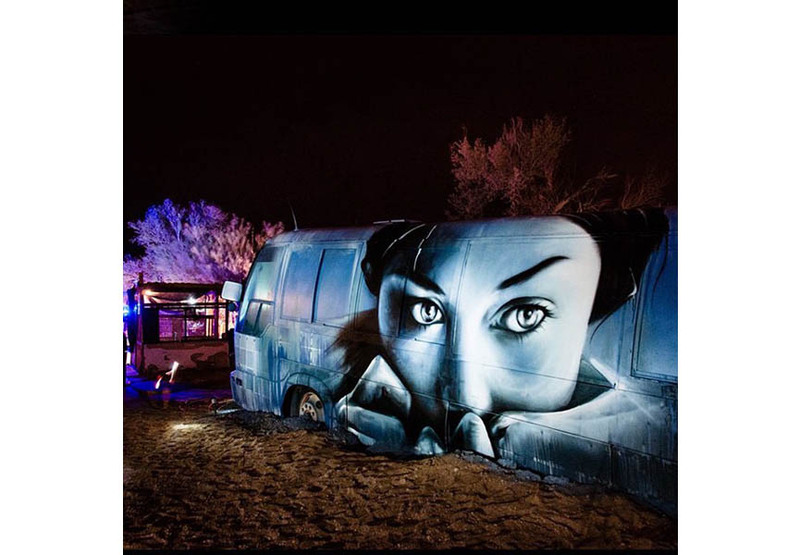 She mades beautiful murals and thanks to her amazing talent, this lady was commissioned for numerous projects including musician Kaskade, Christian Louboutin, Rodrigo Y Gabriela and even appeared in the music video for Van Hunt’s latest single Eyes Like Pearls. 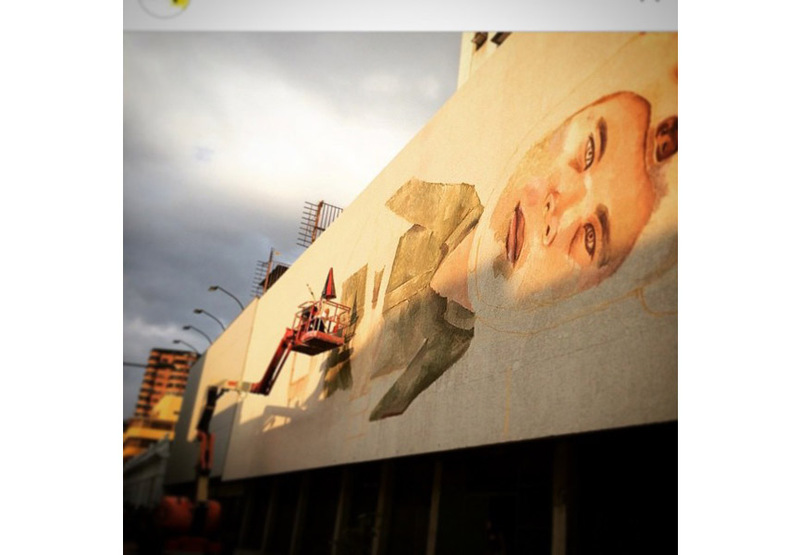 Now, the gifted artist is at Slab City, Salton Sea where she is finishing her wonderful mural featuring a portrait of a girl. 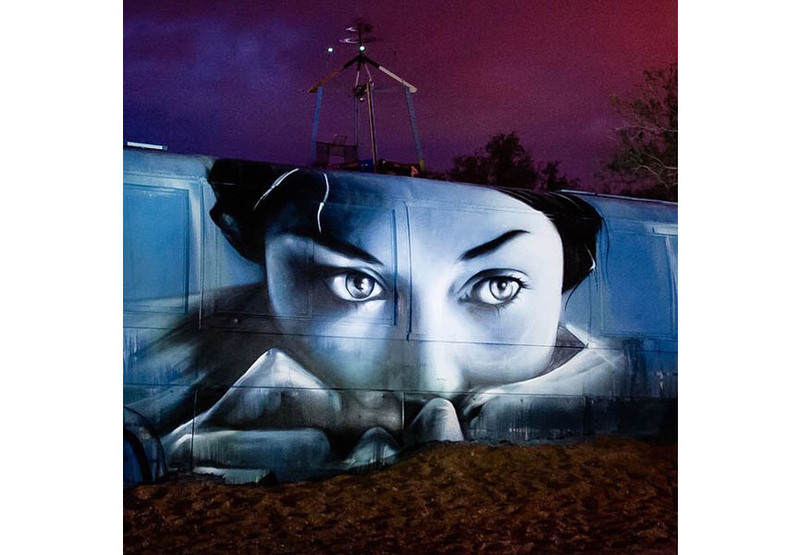 Painted in mostly blue color, the piece looks even better at night when the lights are turned on and the Californian sky blends with this fantastic piece. We haven’t seen a lot of Cyrcle.’s work lately but whenever we do, it’s always something extraordinary. The American duo made of artists David Leavitt and David Torres, founded in Los Angeles, California, mostly focuses on life, duality, and the human condition combined with the aesthetic consideration of form, typeface, color, and balance which is what creates their signature style. 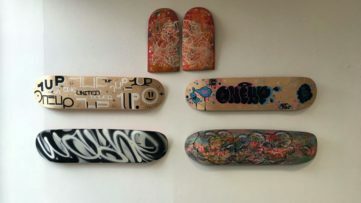 Their works can be seen all over the world, on the streets as well as in private collections including that of Shepard Fairey, Ari Emanuel, Sean Combs, and the MGM Grand in Las Vegas. 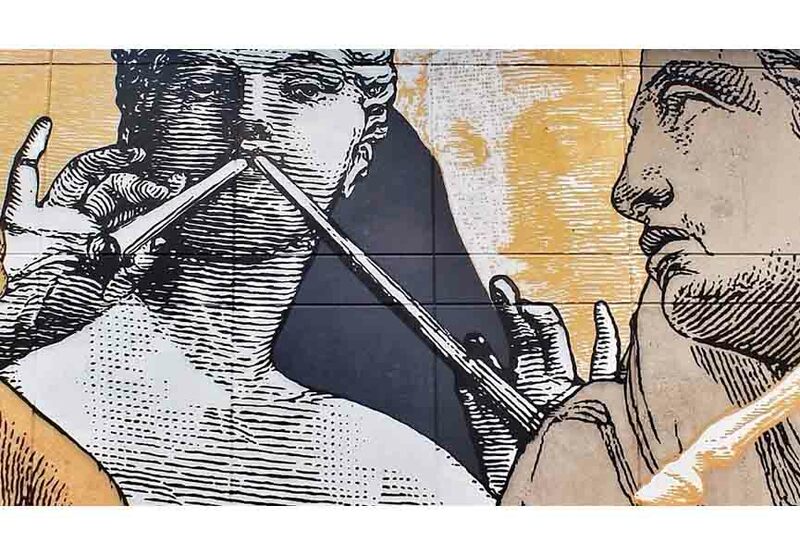 Their latest piece is the one made in Culver City, USA for the beautiful Lebasse Project. This time also the duo decided to stick to their recognizable style and the finishing result is more than exquisite. Great job!